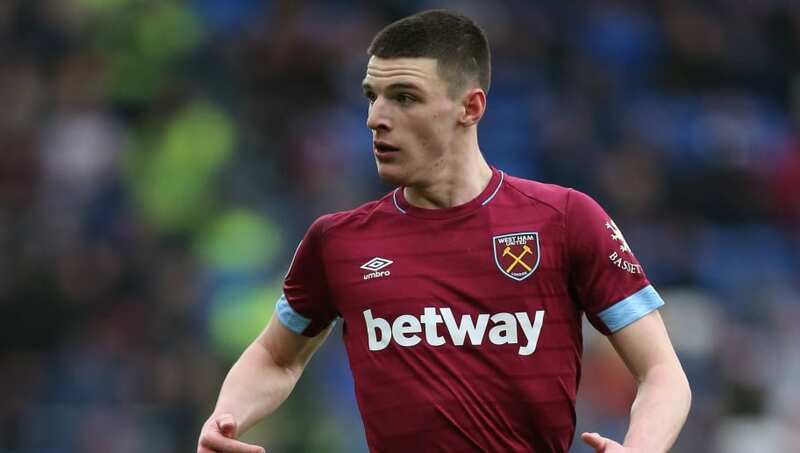 ​West Ham United wonderkid Declan Rice has revealed his pride at being named in the England squad for the first time, ahead of the Euro 2020 qualifiers against the Czech Republic and Montenegro. The 20-year-old recently switched international allegiance from the Republic of Ireland to England, and could now make his Three Lions debut in the games at the end of March. Speaking to ​West Ham's ​official website, Rice admitted he was incredibly excited to join up with his new teammates. He said: “I am very proud and honoured to have been selected by England, and I am excited to start working with Gareth Southgate, the coaches and the rest of the squad following our match against ​Huddersfield Town this weekend. “As I said last month, I had an extremely difficult decision to make regarding my international future, but I have made that decision and now I just want to focus on the future, continuing to work hard and play as well as I possibly can. “I know that nothing can be taken for granted, and there is still a lot of hard work ahead of me. However, I am looking forward to the challenge of trying to prove to the England manager that I am worthy of a place in his team, and hopefully continuing to progress my career in the right direction. In a video on ​England's Twitter page, Southgate also expressed his delight to be able to include Rice in his squad. He added: "His form warrants it. We like what we've seen in terms of his personality, his character and his leadership qualities. He'll fit very well into how we work." As a defensive midfielder, competition in the squad will likely come in the form of ​Eric Dier and ​Jordan Henderson, but Rice will certainly be eager to see his good club form carry over to an international stage.